Valentine’s Day is all about love, and being creative about the ways you express it to your friends, family and other special people in your life. This February at Dunkin’ not only can you say it with our Valentine’s Day Donut lineup, but now with special edition Dunkintines cards. 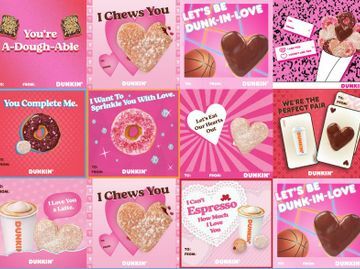 Exclusively at participating Dunkin’ locations nationwide starting this Friday, February 8, the first 100 customers at each location to pick up a dozen donuts will receive a sheet of custom Dunkintines cards* to help share the love this Valentine’s Day. 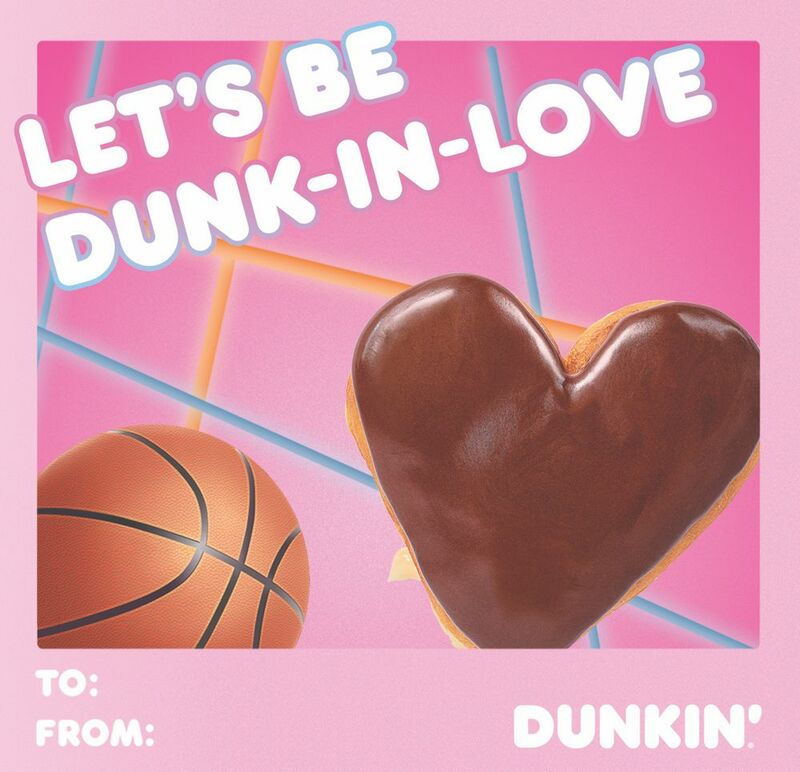 If you didn’t make the cut to get the Dunkintines cards in store, don’t worry! Check out the digital Dunkintines below or download the file to print them out at home. 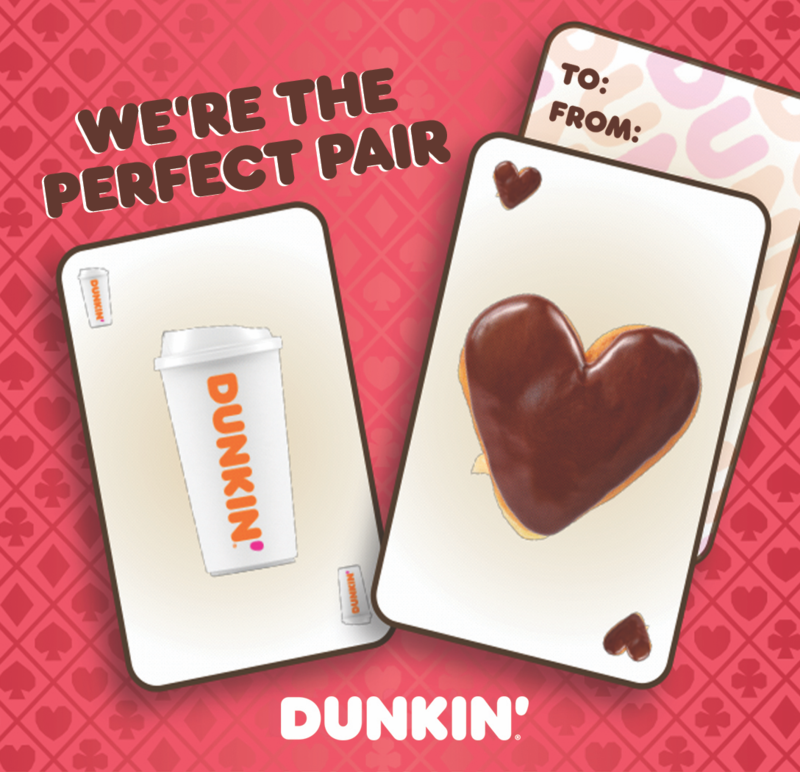 Looking for other creative ways to share the love with Dunkin’ this Valentines Day? Check out this donut bouquet designed by Rick Golden, Manager of Donut Excellence in the Dunkin' Test Kitchen, for some inspiration on how you can create something extra special for your sweetheart with our Bling Sprinkles and heart-shaped donuts. Additionally, on Saturday, February 9th from 11 AM to 3 PM, Dunkin' will be taking over Sure Thing, a Wedding Chapel by Flora Pop, in Las Vegas, where the first 100 couples that stop by will be given this exclusive Dunkin' donut bouquet for their ceremony, or just as a unique Valentine's Day gift. 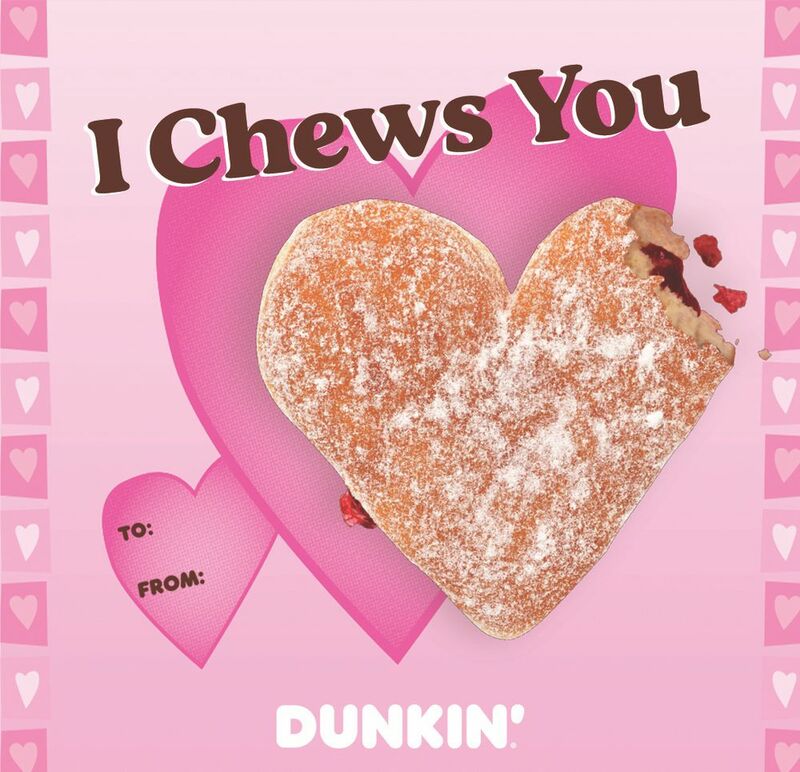 How are you celebrating Valentine’s Day with Dunkin’? Let us know on Facebook, Twitter and Instagram!